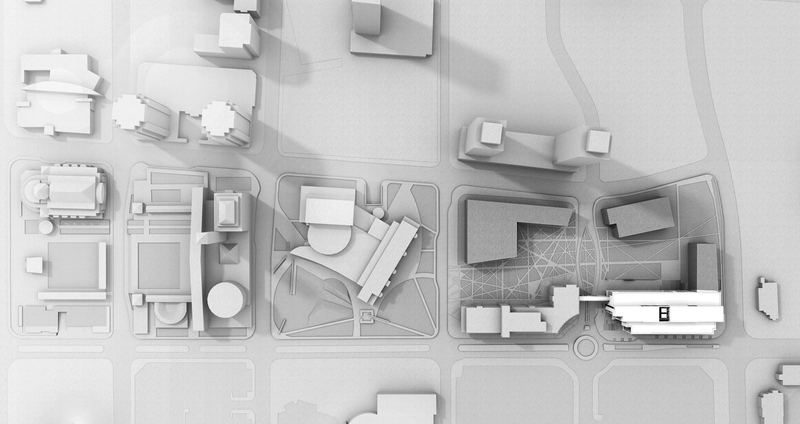 Duis eget feugiat lectus, at. 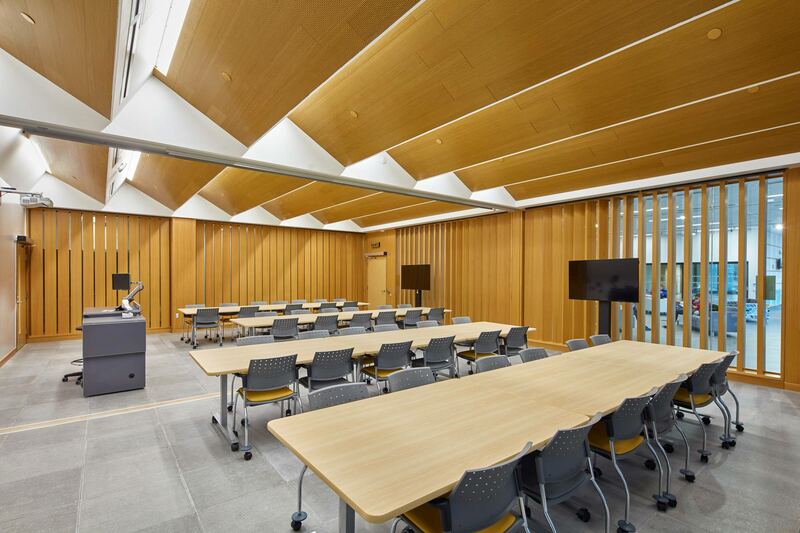 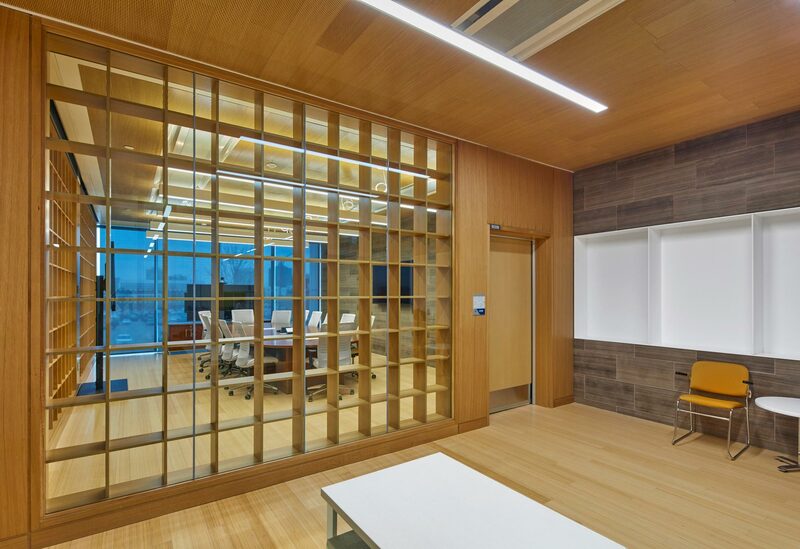 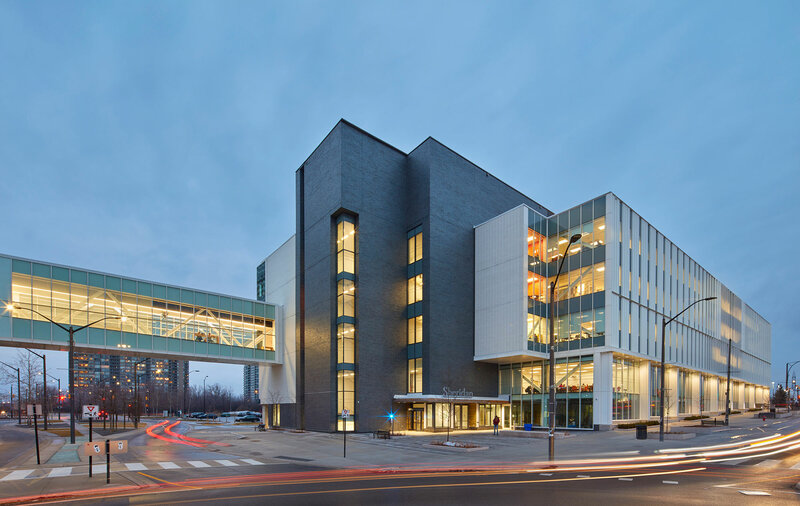 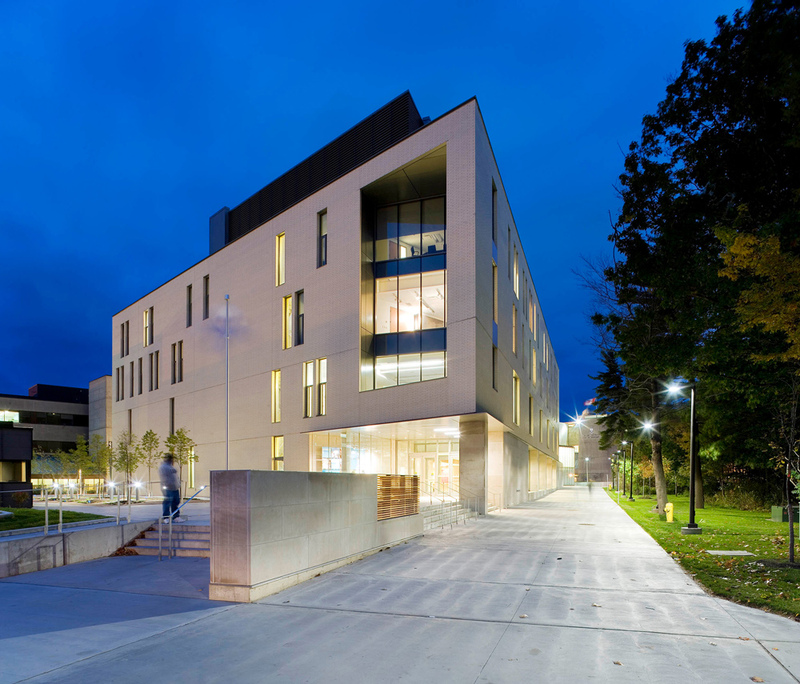 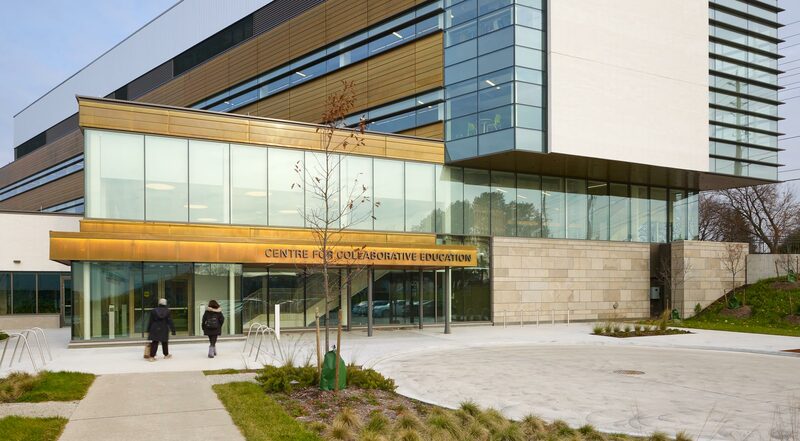 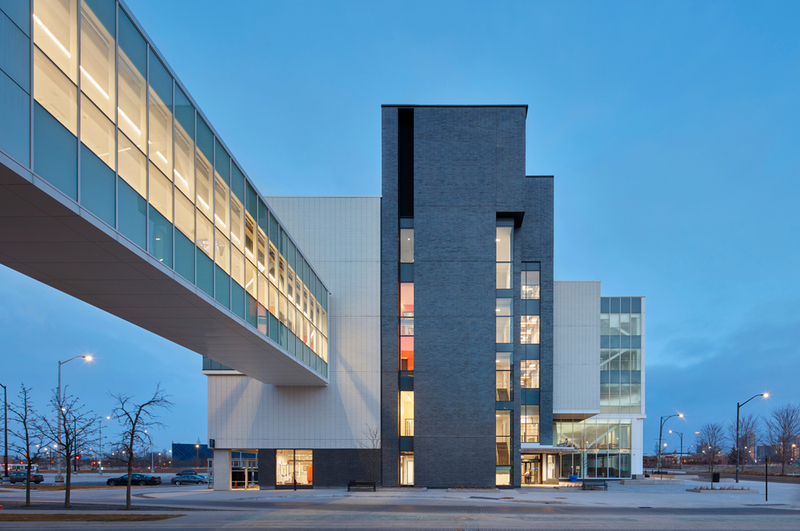 The Hazel McCallion Campus Phase 2 (HMC2) is a premier post-secondary learning environment dedicated to the study of architecture, interior design and visual merchandizing. 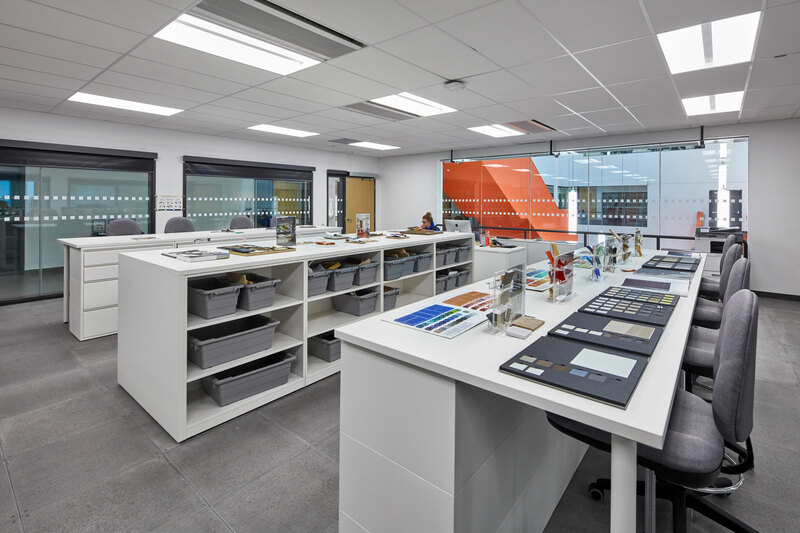 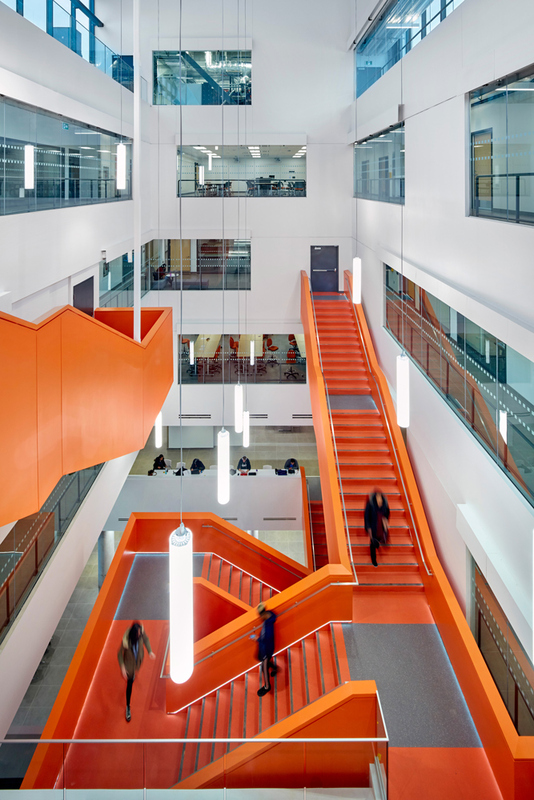 Informed by its imperative to be the ultimate incubator for invention and applied creativity, HMC2 combines state-of-the-art formal and informal learning spaces with rich interstitial elements to incite inspiration, exploration and collaboration. 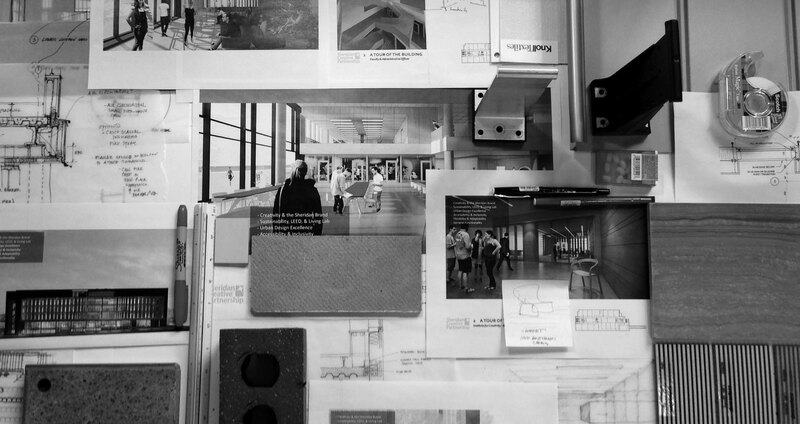 Richness in design and experience is found in the sequence of discovery the building offers. 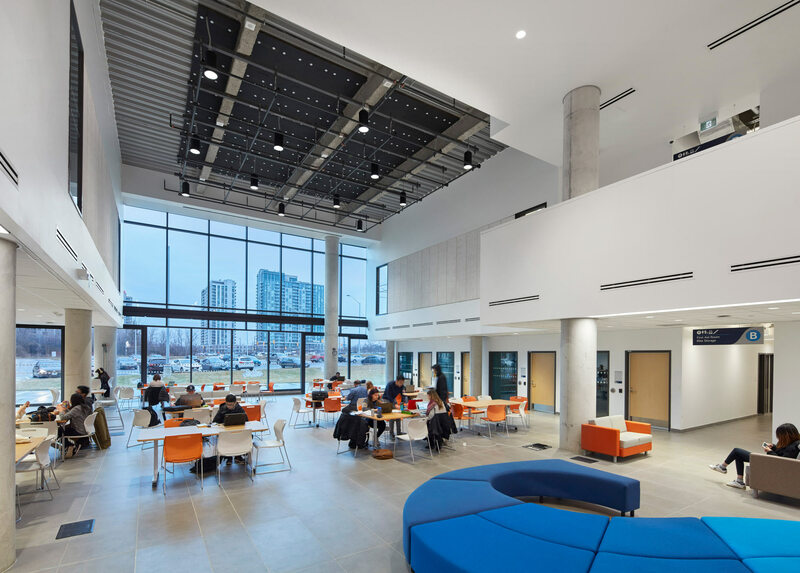 The journey begins in the Creativity Commons, a double-height atrium around which series of learning spaces gravitate – research, training and leadership centres, maker spaces, meeting rooms, technology-enabled classrooms, food services, a gallery, and bookstore. 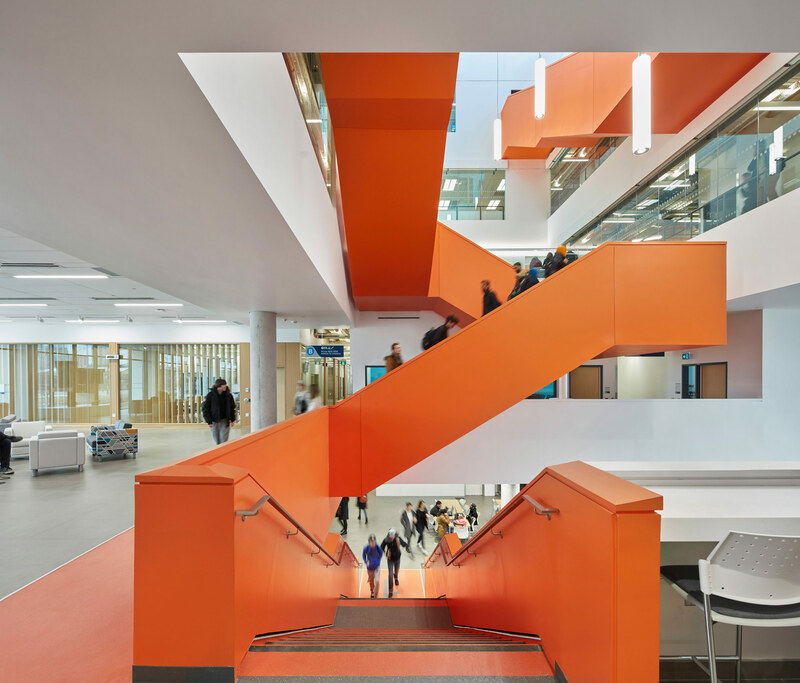 A feature scissor stair, escalating 5 storeys through the vibrant atrium, connects these spaces visually and physically with the Commons and projects their energy and animation upwards. 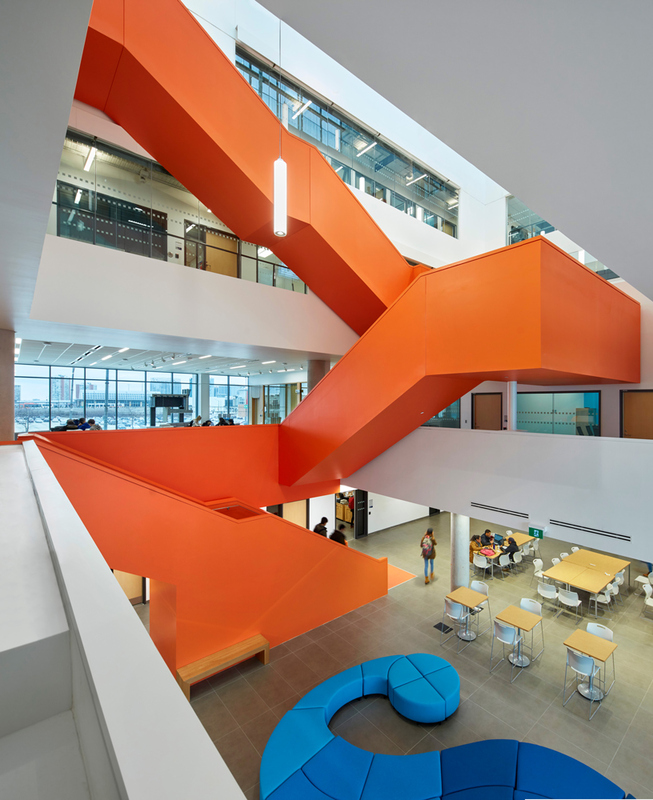 As users ascend and circulate, their experience of the building changes. 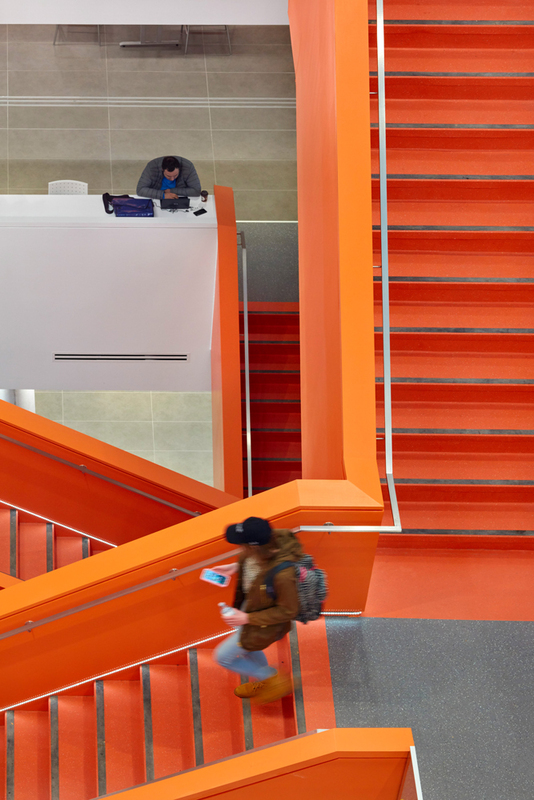 Openings have been staggered and site lines curated to provide natural light and engaging views across the floorplate, down into the atrium and or out to the new quad. 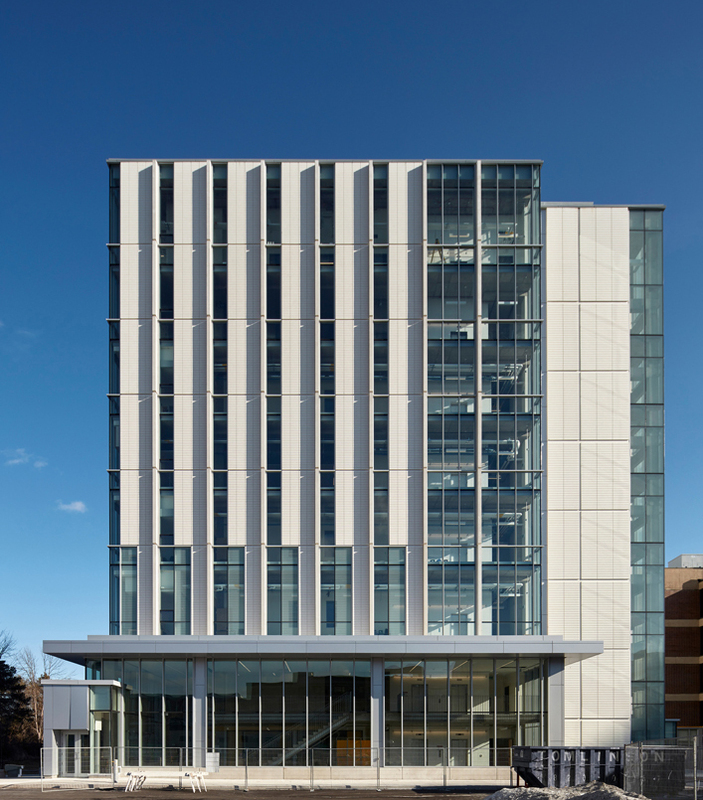 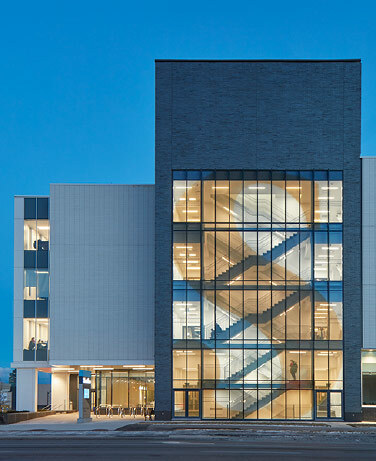 Located in the heart of Mississauga’s Civic Centre District, HMC2 is a positive addition to city-building in a suburban context with an active ground floor, dynamic profile and restrained exterior that both responds to and enriches the existing fabric in keeping with the Sheridan brand. 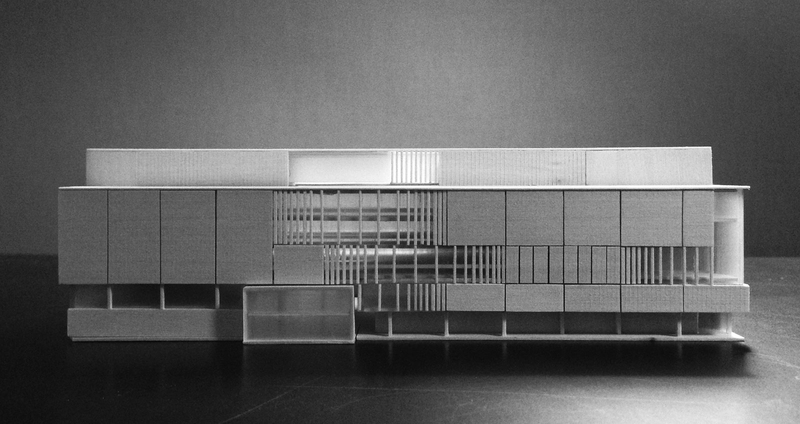 Moriyama & Teshima + Montgomery Sisam Architects in Joint Venture.